In order to adopt a child from Pakistan one or both parents need to be a citizen of the United States. If you are of the Islamic faith, you may only adopt an Islamic child and if you are a Christian, you may only adopt a Christian child. The process in Pakistan is not an adoption process, as we understand it in the United States because the USCIS has decided that the process in Pakistan results in you becoming the guardian of a child. They do not recognize the Pakistan process as being a final adoption. Therefore when you immigrate the child to the United States, you will have to finalize the child’s placement in your state of residence or sometimes referred to as the finalization of the placement of a child or the adoption of a child. Adoptions in Pakistan are not “agency adoptions” in the sense that an agency has the authority to place a child with you. Prospective adoptive parents must engage with the local court having jurisdiction to gain guardianship of a child. The central authority in the country of Pakistan is the Family Court that has jurisdiction in the area or city where the child is located. This means that the Family Court is the responsible entity in Pakistan that makes a judicial determination that it is in the best interest of a particular child to be placed in your home. Only the Family Court Judge can legally match you with a child and make you a child’s legal guardian/parent. According to Pakistan law the Judge also has to give consent to the child’s immigration to the United States. In Pakistan guardianship may be a permanent placement. At the time the Judge makes that decision, the Judge is making a determination that you are appropriate parents for the particular child placed in your home and the Judge is also determining that the child needs a guardian. In order to obtain a US visa for the child, the child has to be an orphan according to the US legal definition found in the Immigration Naturalization Act*. When the Judge documents the reasons for the determination that the child needs a guardian, those reasons provide the US with evidences for the US definition of an orphan. The court order should also give permission for the particular child to travel with their US guardians/parents to the United States. Without permission, you can still obtain guardianship but you will most likely not receive a visa. No other agency in the United States or in Pakistan has the legal authority to match and place a child in your family. Only the Family Court in Pakistan has this authority. The Pakistan process does allow you to learn about and obtain any available information on the child from the orphanage. Many children however are abandoned and the only information regarding many children is where they were abandoned and on what date they were abandoned. There may also be an estimated age at time of abandonment. You are permitted to meet available children and some orphanages allow you to obtain a medical evaluation of the child. You may also have an opportunity to care for the child and the orphanage or a court worker may observe you to determine if you and the child are bonding/attaching. As in any country each regional Family Court has its own process even when they are following the same laws. In Pakistan there are private orphanages and government orphanages. While the orphanages may support the adoption of the children they do not have any legal or statutory authority to place a child in your family. They may tell you what they think about the child and they may provide you with information and an opinion about the child but they do not have any authority to match you with a child. The orphanage may be interested in you as an adoptive parent and may ask you questions and get to know you. They may also ask to read your US home study. In some regions a Judge may take you to an orphanage and show you several children and ask you to choose a child. In other regions it could be a court official and in others you could go to the orphanage (usually a private orphanage) and inquire about children and their availability yourself. Family Connections has agreements with some none government orphanages and is attempting to add more none government orphanages to the list to provide choices for clients. Before you express a willingness to become a guardian for a child and petition, the Family court in Pakistan to become the legal guardian for the child, there is a process that has to be completed in the United States in order to obtain a visa to immigrate any child you become guardians of to the United States. You need to become an approved adoptive parent according to US law. This agency strongly recommends that a family find a Primary Provider, complete a US home study by a Hague Accredited home study provider and file an I600A and obtain approval of the I600A before you consider any child or petition a court to grant you guardianship. You will also need a home study provider and a primary provider if you are seeking the guardianship of a relative child and are intending to immigrate the child to the US. A home study and an approved I600A can take between five to six months or more to complete. The time depends on your home study process, your response to the required paperwork, and the time the USCIS takes to process your I600A (up to 90 days). If you wish to adopt a child from Pakistan, the first step, is to locate a Primary Provider. This is a requirement instituted by the US Department of State beginning July 14, 2014 and established by the Universal Accreditation Act of July 2012. Family Connections, Inc. is a New York State authorized agency and is Hague Accredited through the COA, our agency is willing to be a Primary Provider for Pakistan. If you reside in New York State, Family Connections can conduct an international home study for the international placement of a child from Pakistan. If you reside in a state other than New York, Family Connections, Inc. can help you locate a Hague Accredited home study provider in your state of residence. The home study provider must be willing to enter into a contractual relationship with Family Connections, Inc. and become a “supervised home study provider”. For most Hague accredited agencies this is a regular part of their international home study process and most home study agencies will not begin your home study until you locate a Primary Provider. When your home study is finished, you will be ready to implement the Primary Provider Agreement. Family Connections, Inc. will ask you to retain an immigration attorney, to assist you in filling out your I600A application and related supplemental forms and submit it to the National Benefits Center as part of the Primary Provider Services. When you receive your I600A approval, you will be able to travel to Pakistan to locate a child and petition the Family Court to grant you guardianship of the child. There are several orphanages in Pakistan that will introduce you to children that are available for placement. It is important that the orphanage has agreements with Family Connections, Inc. in place. The orphanages do not match you with a child, you identify a child for whom you are committed to becoming the child’s guardian. The choice to identify a child and petition the court to approve you as guardians for the child is your responsibility and choice. A Primary Provider cannot place a child or guarantee the accuracy of any information you receive about the child as they have no legal way to obtain the information. A Primary Provider cannot in any way assure you that a Judge will grant you guardianship of a child. The Family Court Judge decides if guardianship by you for that particular child is in the child’s best interests and either grants guardianship or denies guardianship based on his adjudication of the specific petition and the laws of Pakistan. A Judge has this authority and discretion even if an orphanage has allowed you to care for a child and you have formed attachment to the child. The Judge could order the child to be returned to the orphanage. Because a child placement is a judicial process in Pakistan you will need an attorney in Pakistan to represent you in the Courts. It is also advisable to have an attorney in the United States who is familiar with both US and immigration law and the international adoption laws and regulations. This attorney can review the Pakistan Court orders before submission by your Pakistan attorney to make sure the paperwork allows for the USCIS to have the information necessary to make a determination regarding the child’s orphan status relative to the Immigration and Nationality Act*. Family Connections, Inc. asks you to retain a US attorney, as part of your Primary Provider services. The agency offers you several referrals to choose from. The agency will need to approve the selected attorney, to ensure the attorney is knowledgeable about the adoption process in Pakistan. After you receive guardianship of a child, the USCIS determines whether the child meets the definition of “orphan” under US Immigration law. You will need to file an I600, Petition to Classify an Orphan as an immediate relative in Pakistan if you have an approved I600A. The attorney retained by Family Connections, Inc., will assist you to complete and submit your I600 application to the Embassy in Pakistan. The attorney will also assist you to complete Form DS-260 online. Family Connections, Inc., as the Primary Provider, will also provide you with an Adoption Services Plan and information on the actual or estimated cost associated with the process in Pakistan. These estimated costs include travel cost, attorney fees in Pakistan, and the cost of documents. The home study provider and the Primary Provider will also ask you to sign Contract for Services Agreements. When your I600 is approved and you receive the visa for the child you can return home from Pakistan with your child. The child enters the United States with an IR4 visa. This means that you will have to finalize the child’s placement by adopting the child in the county/state where you live. This will require you to complete post placement visits and reports to facilitate the finalization. Each state has their own requirements. Your home study agency will be able to tell you your state requirements. Pakistan does not require you to have any post placement reports however Family Connections, Inc. as your Primary Provider requires you to have two post placement visits and reports. Depending on your state of residence, you may be required to have more post placement visits. Texas for example requires six(6) visits, California requires four(4). Each state is different. These post placement visits need to be prepaid before you travel and you will sign a contract for the post placement requirement. Depending on the laws of your state (some don’t require an attorney) you will have to hire an attorney to process the finalization of your child placement. After the finalization of your child from Pakistan, you will then have to apply for the birth data record from your state of residence and then the Certificate of Citizenship for your child from the USCIS. Family Connections, Inc. can guide you in this process. As you can see, this process that allows you to adopt this wonderful child, is time consuming and requires a lot of paperwork before you are finished. The process is also an emotional process for all prospective adoptive parents. No one can promise you a process that is smooth and proceeds how you expect it. Remember you will have to follow the laws and regulations of one or two states and the laws and regulations of two countries (USA, Pakistan) and there are court processes from two countries (USA, Pakistan) in order to complete your adoption. 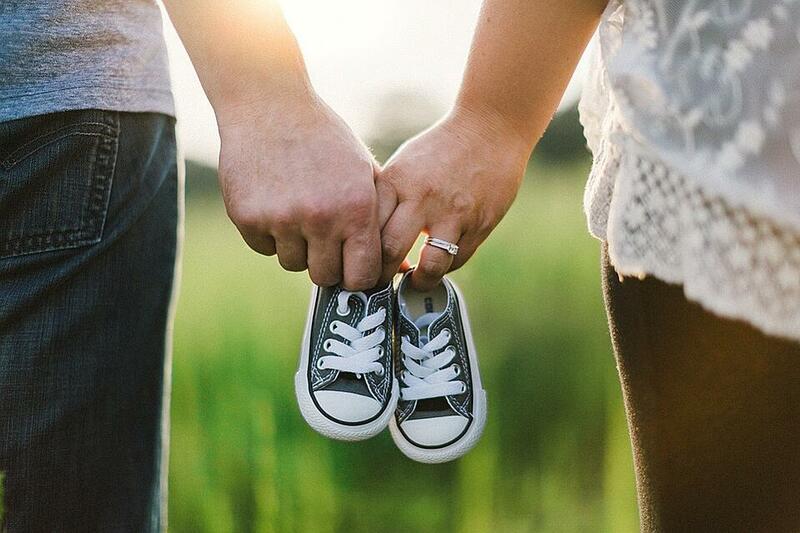 Keep in mind that patience is required and that all these rules and regulations are in place to protect the child you will call your own forever and to protect you, the prospective adoptive parent. One expectation I have is that you will believe that in the end all the process was worth it as you parent your beautiful son or daughter. *The Immigration and Nationality Act provides a definition of an orphan for the purposes of immigration to the United States. A child may be considered an orphan because of the death or disappearance of, abandonment or desertion by, or separation or loss from, both parents. The child of an unwed mother or surviving parent may be considered an orphan if that parent is unable to care for the child properly and has, in writing, irrevocably released the child for emigration and adoption. The child of an unwed mother may be considered an orphan, as long as the mother does not marry (which would result in the child’s having a stepfather) and as long as the child’s biological father has not legitimated the child. If the father legitimates the child or the mother marries, the mother is no longer considered a sole parent. The child of a surviving parent may also be an orphan if the surviving parent has not married since the death of the other parent (which would result in the child’s having a stepfather or stepmother). Note: Prospective adoptive parents should be sure that a child fits the definition of “orphan” before adopting a child from another country, because not all children adopted abroad meet the definition of “orphan,” and therefore may not be eligible to immigrate to the United States.